It is vital that current business professionals and job seekers are well rounded—not just in their profession or career search, but in their every day interactions. Many have wonderful skills, but lack the cultural competency to understand and navigate the art of connections. 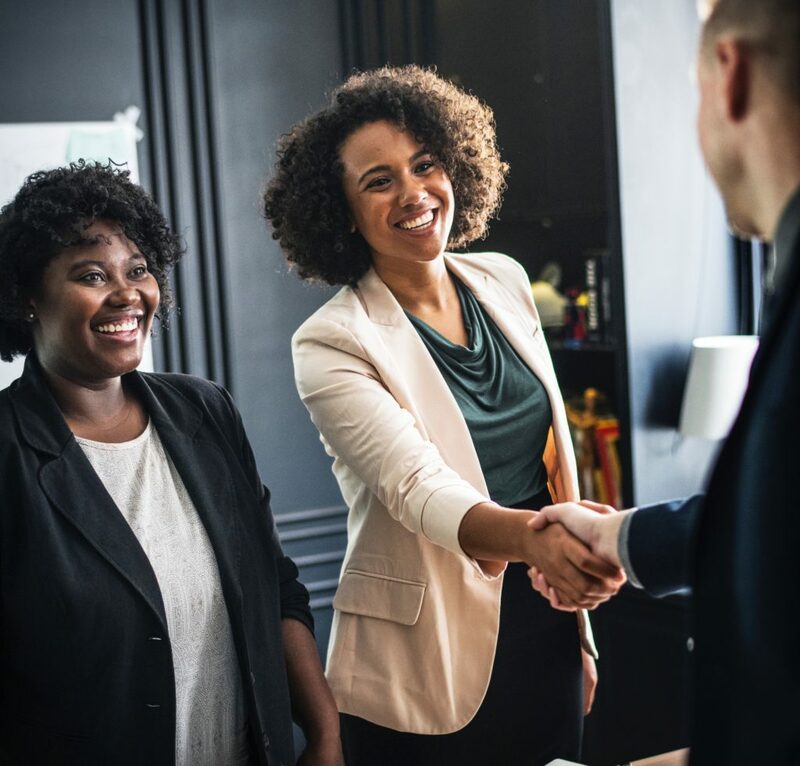 In this post, we will explore developing an authentic personal brand that will set you apart, and the importance networking plays in your career success. “It’s not what you know it’s who you know” We have heard this time and time again. Who do we really know? How are those people advancing our personal and career endeavors? This quote is wonderful but many miss a vital part, “It’s how well who you know, knows you!” Attending a conference is wonderful, and receiving a business card or LinkedIn request are great starts to connections. It's how well who you know, knows you! But, how many of those people have you personally reached out to? How many potential employers, personal meetings and follow-ups have taken place? What are you as a job seeker doing to MAKE people remember you? Navigating how to brand yourself is finding your niche. What career do you seek that embodies the skills and expertise you have to offer? Once you know what your looking for, you can find those organizations and or people in those fields. Research and connect with business professionals, employers, programs and potential business mentors in the Charlotte area. Each group has a variety of programs, projects and or people to connect with that can help advance your career. You don’t know who can assist you with your resume, be a mentor, or an employer who is looking for your experience. The Charlotte Chamber hosts events, connects business owners to resources, and advocates for business interests in Charlotte. Check out a list of events or learn how to join. The Small Business and Technology Development Center (SBTDC) operates local offices all around the state, housed in UNC-system schools. The Charlotte office is located on the UNC Charlotte campus. Through a partnership between the U.S. Small Business Administration and the SBTDC, this center provides a range of resources and services to the Charlotte business community. The Urban League of Central Carolinas Young Professionals is a volunteer auxiliary of the Urban League of Central Carolinas affiliate. The ULCCYP is a training ground for young professionals’ ages 21-40 committed to supporting the Urban League movement through volunteerism, philanthropy and membership development. Meetup is a free online community where you can find all kinds of different events. There are lots of different networking groups and events, and specific groups for different industries or specialties. CMBCC serves black business owners and professionals in the Charlotte region by providing education, resources and networking opportunities to our members — in an effort to increase the economic vitality of the business community as a whole. Check out a list of events here. Eventbrite is a great place to find local events. You can search by type of event or tag, to find events related to professional development and networking. Many of the events are free to attend. Make a list to attend at least two events a month and do that for at least three months. Exchange business cards, engage, let people know what you want and be specific about your needs. Ex. I am looking for opportunities in this area; I need assistance on my resume. Follow up with those individuals by sending thank you notes and scheduling time to meet for coffee. Write down your results, who you met, and outcomes in a notebook keeping track of your progress. The road to your next career and or opportunity might not be applying to 100 positions a week. Connecting in the area can provide tools and resources that will open amazing doors. Recipient of the 2016 CMBCC (Charlotte Mecklenburg Black Chamber of Commerce) “30 under 30” recognition honoring Charlotte’s brightest young business owners, entrepreneurs and professionals. Prosocialites July 17’ Women of the Month #WCW (Women Crush Wednesday) and featured on Fox 46 News Good Day Charlotte and recognized for being an impactful women in business. Woman of the Month for Autumn Magazine based out of Phoenix, AZ August 2017. Calista Phair-Tucker is an HR Consultant, Executive Recruiter & CEO/Founder of SKKY Marketing. She has a zeal for business, coaching, professional development and marketing. Calista is a native of Seattle, WA who enjoys providing professional development to assist others who desire advancing their careers, growing a business and potential. 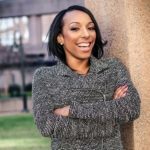 Calista is a member of Alpha Kappa Psi Professional Business Fraternity Inc. and serves on the Executive Board as Marketing Strategist and Chair of Engagement for the Metro-Charlotte Bennett College Alumnae Chapter. In her spare time she enjoys and loves mentoring, checking out varies eateries around Charlotte, attending networking events, spending time with friends, traveling and being a newlywed with her lovely husband Demetrius Tucker. To learn more about her business, services, and book her for your next event visit www.skkymarketing.com. This is an excellent read and a very useful article! Love “it’s how well who you know knows you.” So true! This is such great, noteworthy information!! Especially as a young professional trying to move into my career, it is imperative that I know how to network and how to brand myself so that I can take advantage of opportunities that may present itself! Looking forward to seeing more of your posts! Thank you for this! Thanks for the great insight Calista! These are all great tips. I’d add PYP (Practice Your Pitch). Expect to be asked what you do, why you’re attending the event, etc. Make sure you response is concise and compelling enough to be remembered. Also, if you don’t have personal cards, order some. You can even consider writing the name of the event on the back prior to giving them so it helps the receiver recall where they networked with you. Absolutely positively love this tools. As a now resident of Charlotte, NC I’m ready to utilize these different organizations as I am actively looking to get back in HR as well as just launched an online clothing boutique Highland Avenue, LLC… these resources will definitely help me to network & connect with others in the community. Thank you! This was a great article. I am so proud of you Calista! Great article and very different way to look at branding. It is imperative in today’s market. We all should be so lucky. This is great information, Calista! I have a family member who is the Senior Vice President of a very large organization and she has always stressed the importance of being well networked, no matter what industry/career you are in or level you are at. I look forward to attending some of the networking events that you listed out. Calista, this is wonderful. As someone that is looking transition into HR, I will definitely apply this to my life, and also share this with others! Great article Calista!! These are great resources and tips! I believe we are in a time where branding yourself is vital to career success! Keep the articles coming!